StartingBlock, a Madison-based tech hub and co-working space, recently named the eight startups that will take place in its inaugural Social Impact Initiative. Discovery to Product congratulates Alfonso Morales, a participant in our fall 2018 Innovation to Market program, for being among those selected to participate with his Farm to Facts project. Congratulations also go to NovoMoto, another UW–Madison spinout company taking part in the new initiative. The eight companies selected will get dedicated workspace in StartingBlock and resources geared towards collaboration, growth and giving back. The program is being done in partnership with the American Family Insurance Institute for Corporate and Social Impact and Greenbush Strategy Partners. 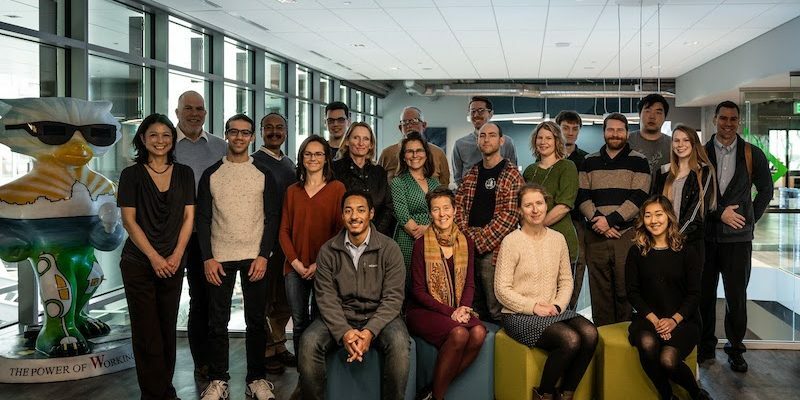 Startups receive a six-month free membership to StartingBlock, access to a specially-designed “pod” space, and programming in partnership with AmFam’s new Institute in the Spark building in downtown Madison.